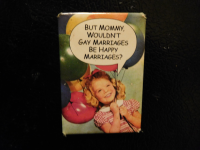 When I was pregnant with June, shortly after we found out she was a girl, I bought this refrigerator magnet. I liked imagining the little girl as her, asking the same question. But of course gay marriages are a lot like straight marriages: some happy, some unhappy, some in between. Beth and I had an anniversary on Monday. This one felt a little different, not because it was the twenty-fourth anniversary of our commitment ceremony or the third anniversary of our legal wedding, but because it was the first one since the Supreme Court ruling last summer that legalized gay marriage in the states that did not yet have it. I was happy to be celebrating knowing that everyone in the U.S. finally has the right to be doing the same. But because it fell on a Monday, we did some of our celebrating the weekend before. 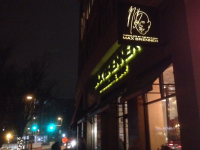 We went out to a movie and had dinner at an Indian restaurant in Bethesda on Saturday night. But before that we attended the first Pandas game of the season. And what a game it was. Regular readers may remember that June’s basketball team went all last season without a single win. This year their coach started practices in November, rather than December, so I was curious to see if it would help the team I was starting to think of as the Bad News Panda Bears. They were playing the Spiders. Late in the second quarter, the Pandas were down 8-2 and I thought it was all over. But they scored twice at the very beginning of the third quarter and then there was more scoring on both sides. For a while the Pandas were actually winning and then for a long time they were tied 12-12 and in the bleachers I could hear three separate conversations about whether they let games end in ties at the fourth-grade level or whether the game would go into overtime. One grandmother said, “I’d be happy with a tie.” I think all the Panda fans would have been. But we didn’t get to find out about the overtime policy of the Montgomery County basketball league because in the last 30 seconds the Spiders scored and the Pandas lost the game 14-12. That was an agonizing moment, but five minutes later I was finding a lot of reasons for optimism. I lost track of everyone who scored baskets, but at least four girls did, meaning the team is not relying on one star player. 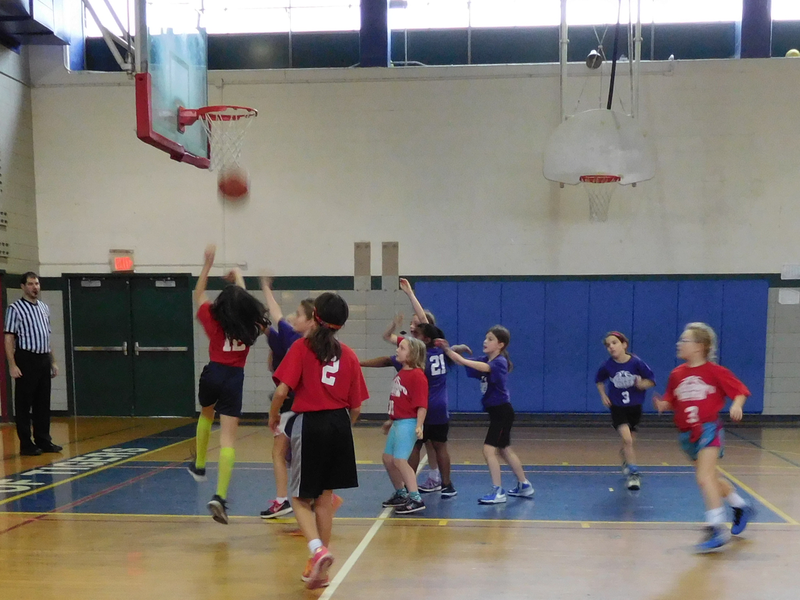 Plus Megan did a great job guarding the opposing team’s best player, June took a shot at the basket which she never did until last season, and our newest player showed a lot of hustle in getting and keeping the ball and took a quite a few shots at the basket. 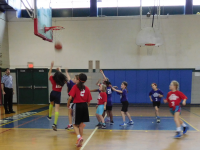 Even some of the weaker players were looking better in their control of the ball. So I’m looking forward to more exciting games over the rest of January and February and maybe even some wins. We brought June home and shortly afterward left for our date. We went to a late afternoon show of Carol. We saw it at the Landmark, which has the quirk of assigned seating. They show you what’s left on a screen when you buy your tickets and you choose. Beth and I got the last two seats in the theater, which were in the front row and not next to each other, which was kind of sad. But even so, we enjoyed the film. Beth and I read The Price of Salt, the 1952 novel on which the movie is based, some time in the 90s but neither of us remembered the lesbian classic very well. Despite this, I’m pretty sure it reads differently to me now than it would have then. In my twenties I would have been rooting for the lesbian couple without reservation, but as the character embroiled in a nasty divorce and custody dispute continually risked her access to her child, I found myself thinking things like, “What are you doing? Think of your daughter! You barely know this woman.” But it was very well written and acted and beautifully shot. Overall, it left me deeply grateful to live in a time and a place where I don’t have to choose between romantic and maternal love. We were thinking of going to Jaleo for dinner, but there was a forty-minute wait there and long waits at the next two restaurants we tried, but eventually we found an Indian restaurant that could seat us. We got a very tasty appetizer of potatoes, chickpeas, and chutney in tiny crispy shells, grilled paneer, a black lentil curry, and roti. We get Indian a lot, but it was nice to try a new restaurant and new dishes. 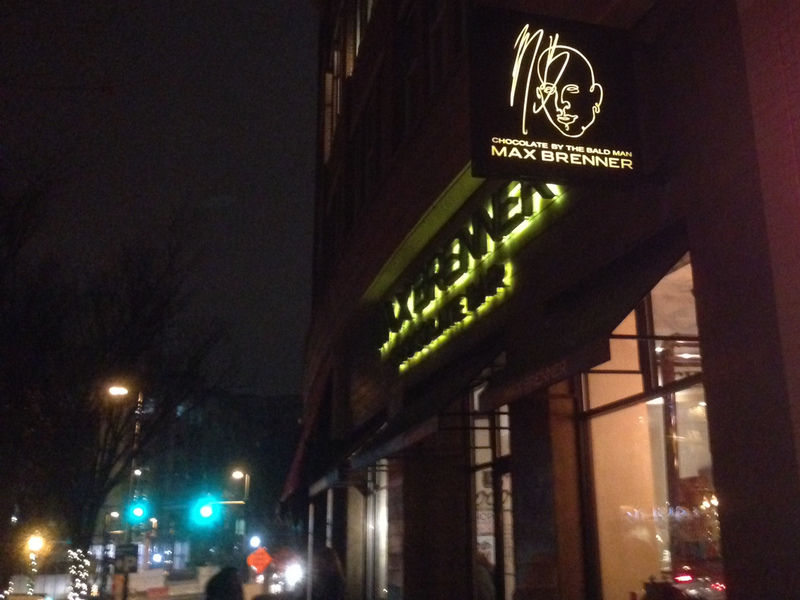 We wrapped up the evening sitting on a bench outside Max Brenner’s Chocolate Bar, sipping thick Italian dark chocolate and looking at the strings of white lights wrapped around the trees all down the street. It was a nice winter evening–chilly enough for hot chocolate but not too frigid to sit outside. I found myself wondering why we don’t go out more often now that we don’t even need to get a sitter. Two days later was our actual anniversary. I made kale, potato, and red bean soup for dinner because it’s a favorite of Beth’s and mine and I also made a cake I make every year, using the recipe from our commitment ceremony cake. It’s a spice cake, with a lemon glaze. This year I decided to dye the frosting blue but I used too much food coloring paste and instead of the light to medium blue I was envisioning, it was a deep, midnight blue. I finished it with red, cinnamon-flavored sprinkles. The frosting turned everyone’s tongue and teeth blue and Noah’s lips were dark blue, too. He looked like he was wearing some kind of Goth lipstick, which I suppose was appropriate, as it was the day after David Bowie died. Beth and I exchanged presents between dinner and dessert. One of the advantages of having an anniversary just two and a half weeks after Christmas is that we can consult each other’s Christmas lists and buy something the other one didn’t get. This year there were a lot of items left on Beth’s list and I almost went with a book, but I changed my mind at the last minute and got her a waffle maker instead. She seemed really pleased with it so I was glad I did. She got me Stephen King’s Bazaar of Bad Dreams, which I’d nearly impatiently bought for myself between Christmas and our anniversary, but we have an implicit understanding not to do that, so I didn’t. The rest of the week unfurled like a fairly normal week. On Tuesday night Beth and I went to STEM night at June’s school and watched her present the poster on her experiment “Where Does Ice Melt Best?” (Spoiler: in hot water.) On Wednesday I went to basketball practice with June and I thought the Pandas seemed pretty pumped after their near non-defeat on Saturday. “See you at the game,” I said to Megan’s dad as he dropped us off after practice. “For the next exciting installment,” he said. I do look forward to the next week and month and year and all the installments of our married life, whatever ups and downs it may bring us. And this weekend we’ve decided to go to the movies again. This entry was posted in Anniversaries, Birthdays and Half-Birthdays, Extracurricular Activities, Marriage Equality by Steph. Bookmark the permalink.